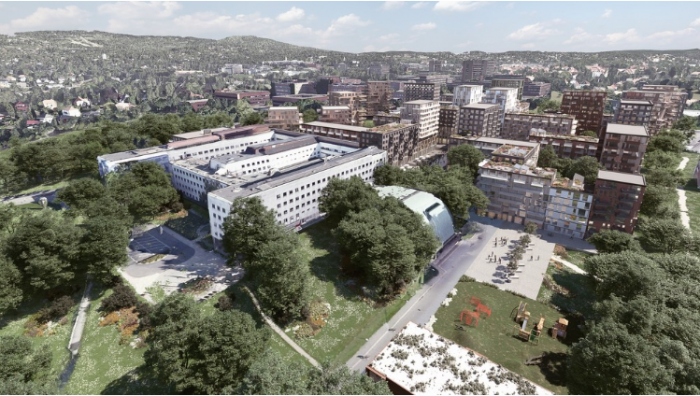 107,000 sqm Attractive Land for Sale in Central Oslo: "A Number of Possibilities"
Norway — The Norwegian public broadcasting NRK are set to leave their building at Marienlyst in Oslo after more than 80 years. This could open up for 107,000 sqm of new projects in central Oslo. Pangea’s CEO Bård Bjølgerud tells Nordic Property News about the area’s future possibilities. Norway — The Norwegian public broadcasting NRK are set to leave their building at Marienlyst in Oslo after more than 80 years. This could open up for 107,000 sqm of new housing in central Oslo.